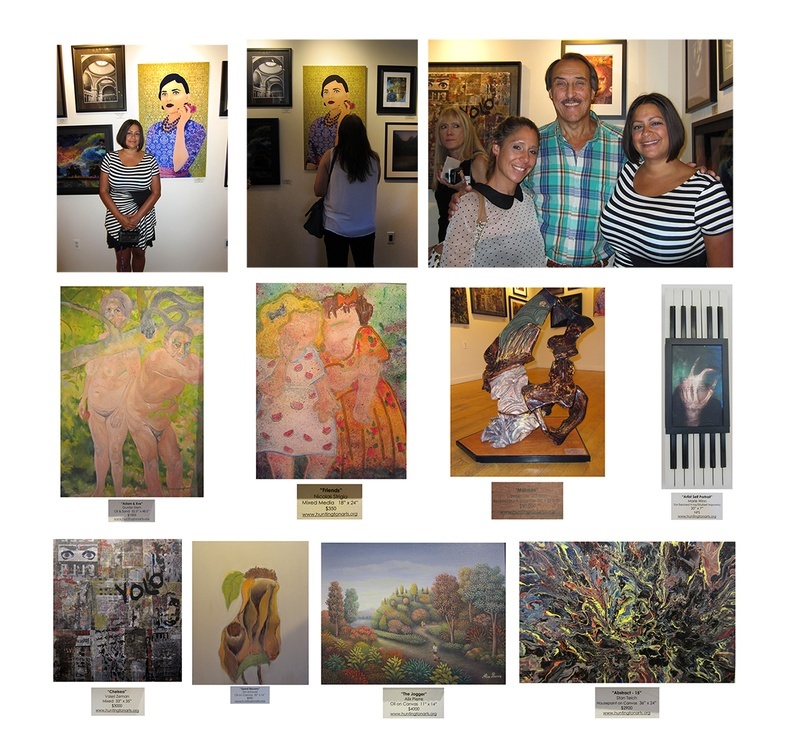 The SPARKBOOM opening at ARTSPACE in Patchogue was a huge success! 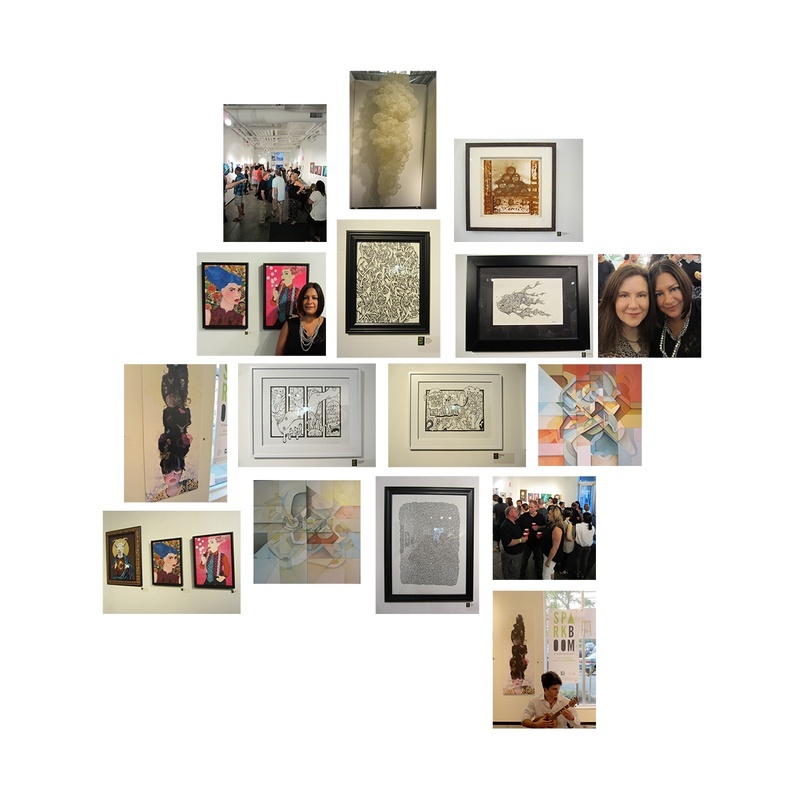 Kudos to Michelle Carollo for organizing and curating the show. The artwork was edgy, youthful, quirky, humorous and unique. Such a breath of fresh air! You have to get yourself over to the exhibition if you missed last night. One of my favorite pieces, Dong Hee Lee's sculpture "Fecundity", is made entirely of white hot glue. I love artists who take ordinary materials and elevate them. Another artist who did this was Jeffrery Allen Price with his piece "Long Island, All Washed Up" comprised of used household sponges. I was elated to see a digital artist other than myself, Krista Biedenbach. Her piece "Haters Wanna Know My Antidote" was a perfect backdrop to the wonderfully talented musicians that perfectly complimented the show. One musician that stood out was Chris Trietsch, who plays the Ukulele. You can check him out on YouTube. I also must mention St. James Brewery for providing tasty free beer and Mia River Avenue Deli for the yummy eats. Amongst the large crowd was my dear friend Amy Altobelli and my amazing chiropractor Dr. Dark. Super deluxe model night. I hope to be able to partcipate again next year. 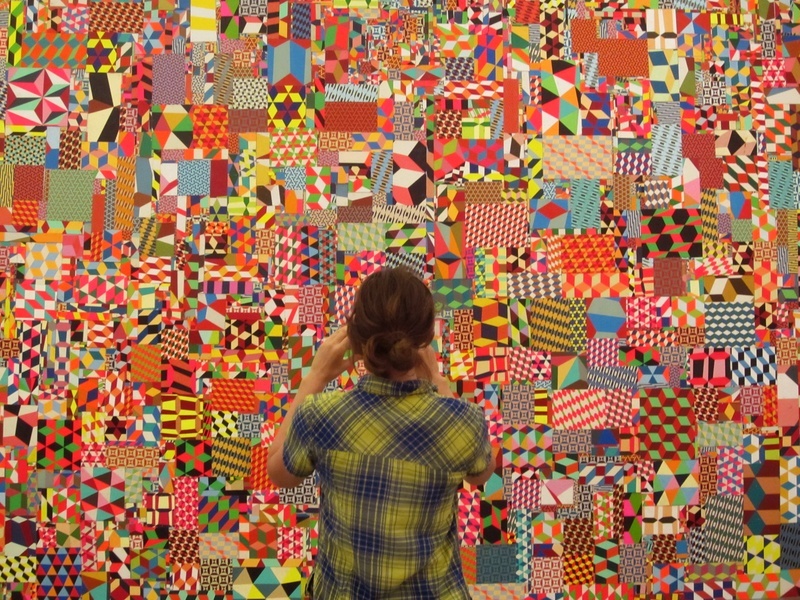 The Huntington Arts Council's Personal Best exhibition was worth partcipating in. It was fun to hang out with friends Allyson Uttendorfer and William Grabowski. 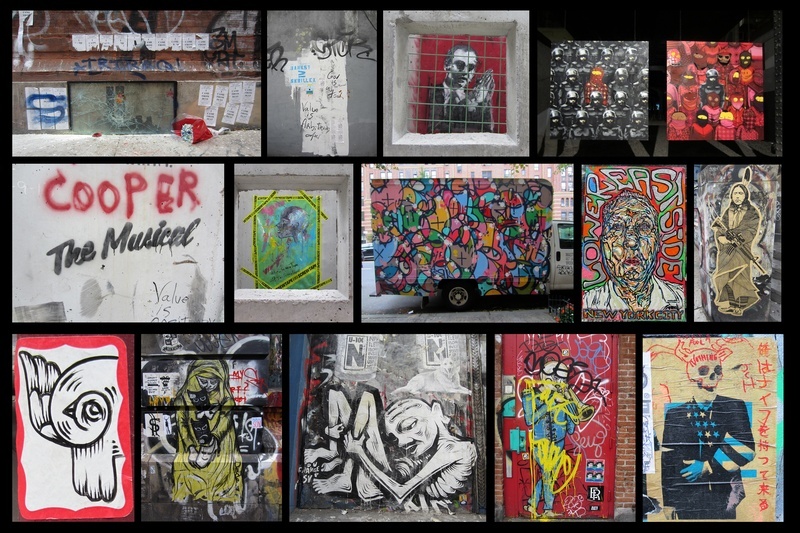 One of my favorite pieces is Valeri Zeman's "Chelsea" for taking fabric and giving it the look of graffiti. For obvious reasons I also enjoyed Nicholas Strigia's "Friends". Mohanty’s artistic journey began quite modestly compared to what you see here. As a photographer for somewhat typical gigs, an experience teaching photography to students in need of inspiration set the bar for her work. She saw such a positive and energetic reaction from her students to their own portraits which forced her to discover the sense of value a self image can ignite for someone. “A portrait was no longer an image on a flat piece of paper, but a living breathing entity. Till this day I cherish those images” she says. Bold confident colors with complex and simple patterns engage the viewer. There is so much to take in visually, but what is truly amazing is despite the combination of colors and patterns that tend to make an image flat, here the subject is so alive and soulful. You get a sense of a true living and breathing person before you. These portraits are a definite must see at SPARKBOOM’s Artspace Unplugged event August 9th from 6-10PM at 20 Terry Street in Patchogue. RSVP here. It's just like me to forget to post my little announcement that was in The New York Times. I didn't even know until a student of mine spotted it and clipped it for me. Love that kid! I know it's not a big deal but how many people can say they were in the New York Times! 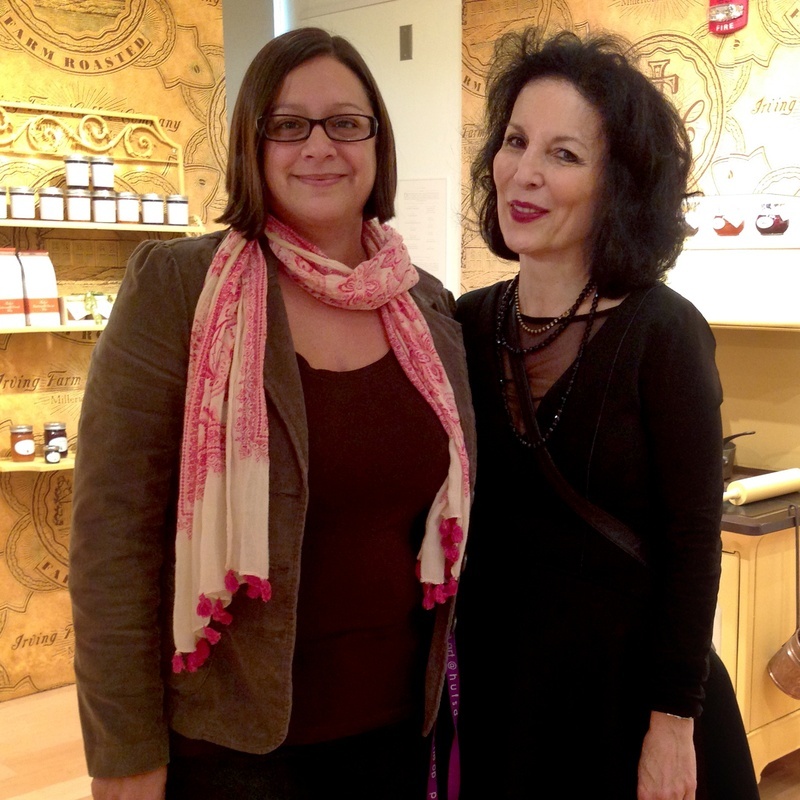 I had the wonderful opportunity to spend some time with Louise Fili recently. She is nice as all get out, funny and do I have to mention what a super deluxe model typographer she is. Only bummer was I forgot to bring one of the 5 books I have by her and her husband and her new one to have her sign it. She signed a little piece of paper for me instead and I have it proudly hanging in my studio. Thank you Louise for being awesome! Another wonderful thing that happened that day is I ran into a old student of mine who is now studying design in college. I've corrupted another soul who will help me in my fight against the ugly! If I kept a daily journal the entry for October 19, 2013 would simply say THANK YOU Banksy. I set out on that day to chase Bansky, not as seriously as some who are watching twitter like chain smokers (I don’t have twitter nor know how to tweet I might mention) or pedaling furiously on bike to be the first to get a coveted “clean shot” of his work. I was also brilliantly unaware as I stepped onto Chambers street that his target had been Staten Island. My first thoughts were filled with rage and heartbreak, but I was in Manhattan, a city I had lived in for several years and neglected to visit very often since moving back to the suburbs. I forged ahead my day operating now more like a search and rescue mission rather than the valiant victory of discovery scenario I had engineered in my head. IPhone in hand, set to Google maps Bansky, I headed towards stop one Tribeca. What I found was sad. An attempt was made to protect the small unassuming piece with a piece of glass that someone found most enjoyable to smash. Other attempts at minimizing the work were in full force as well. I thought why, what idiot would do this? Unsavory combinations of words were forming in my head as a young couple walked up beside me. The girl asked me “is that it, is that the Banksy?” I thought they might have the same feeling as me, but without such as a moment to allow me to respond she snapped a picture and the girl turned to her boyfriend and said “ok then lunch”. More heartbreak for different reasons now. Onto 18 Allen Street. Pretty much the same deal but my walk over had me pondering what did it mean to the person(s) who defaced the Tribecca piece. There are all sorts of reasons certain individuals have their undies in an uproar about what he is doing, but really? I began to feel light hearted about the whole thing. I was making a discovery, not a fresh Bansky, but about human nature. On my way to Cooper Square and E 7th street I was beginning to look forward to what I would find there. A few bubbly girls were giggling snapping away on their Iphones. The work didn’t look like the one on the Bansky in New York website. Several passers by claimed that it was his in the right cement block and that the middle one had been removed with the other piece. I chatted with the girls for a while and I decided I wanted to jump over the yellow tape and touch the paint where it said The Musical, supposedly his as well. The girls jumped with me and we proceeded to caress the letters. I don’t think it was so much the “getting close to Banksy” that was satisfying but the let’s jump together even though I don’t even know you. I ran into an art student of mine who had graduated back in June and later 2 old friends from back in the day, who tempted me with the prospect of putting a can of paint in my hand to do some art of my own. Just the thought made me giddy and magically made me 18 again. I could go into detail about how the rest of my day unfolded, but what I found to be most important was reconnecting with art in such a direct fashion that is somehow unattainable in a museum. Chasing Banksy forced me to walk, think and look around me in a way I hadn’t in a long time. In my day’s journey I found lots of other pieces of street and graffiti art, photographed some architecture, spoke with strangers and friends. My day became a state of mind rather than about the physical act of looking at art. So for that I’m glad I never got my “clean shot”. Thank you Banksy. There was so much great artwork I got to see this summer. One of the highlights was Barry McGee’s exhibition at ICA in Boston. I have always been a big fan of graffiti art and it was exciting to see a whole bunch of his work in one place and despite some people’s opinion I don’t think he has lost any street cred whatsoever by going ”indoors”. The work was diverse while Barry’s true authentic style beat heartily throughout the entire collection. Myself being completely drawn to patterns really enjoyed his giant wall of colorful geometrics. I also loved the intimacy of the framed images created on bits and pieces of paper and commercial leftovers. It’s interesting to note that he had requested to curate a separate show within his own. After meandering through his work I discovered in the last room an exhibition containing fragments from fellow graffiti artists, beaten up skateboards and curiosities that Barry had assembled as a kind of post script to his own show. I truly loved that the museum was allowing photography of the exhibit for personal use. As a teacher in addition to being an artist having that option was overwhelming! It didn’t stop me from dropping some dough in the museum shop. I am heart broken today to discover that Barry just had an opening in New York at gallery Cheim and Read this past Thursday. Super Bummer. I’ll still have to check it out. I have to mention what an awesome building Barry’s exhibit in Boston is. It opened in 2006 and was Boston’s first new art museum to open in over 100 years. Definitely a place to go visit if you are in Boston.